PARIS, July 9: Cristiano Ronaldo and Ricardo Carvalho have waited a dozen years to reach another final with Portugal. Some teammates will have a more recent Portuguese setback on their minds going into Sunday's European Championship final against France. "I have lost a final last year and I hope this year things are different," the 23-year-old Mario said Friday. "I'm sure that it's the match of our lives because there's nothing better than playing in a tournament like this one for our country." Mario's stock has certainly been on the rise in the last year. What he lacks in height, he makes up for with intelligent technique on the ball. 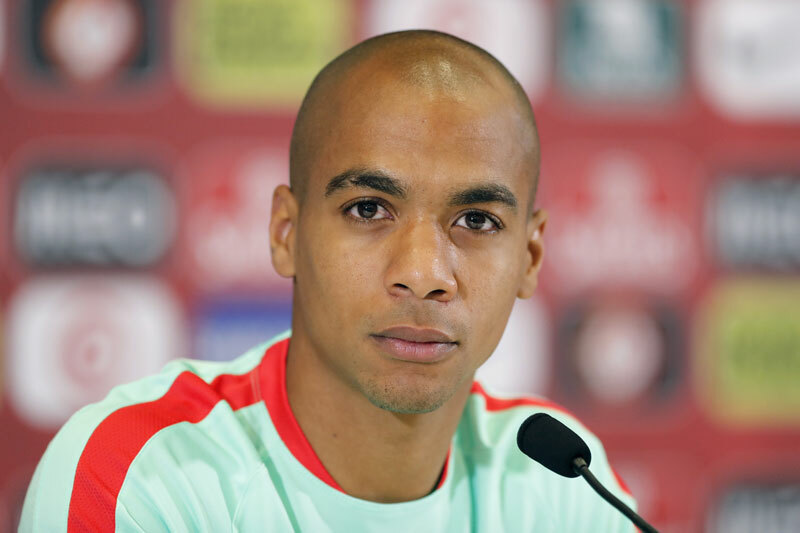 The playmaker has been linked with a post-Euro 2016 move from Sporting Lisbon to Inter Milan. If Mario needs advice on leaving Portugal for one of Europe's bigger leagues, he only has to look across the dressing room at Ronaldo and Ricardo Carvalho. Ronaldo left Sporting for Manchester United in 2003. A year later, after impressing in central defense at Euro 2004, Carvalho earned a move from Porto to Chelsea. Ronaldo and Carvalho, veterans of the Euro 2004 final loss to Greece on home soil, are well placed to calm any anxieties heading into Sunday's final at the Stade de France. "We have players who give us advice at certain moments in the match," Mario said, without providing names. "They're older and more experienced, that's normal, but we're also a bit cheeky towards them, which comes from our youth. The most important thing is to give the young players a chance, and the coach did." "Obviously I've always had the ambition and the desire and the belief that I could get there (to the Portugal team)," Fonte said this week. "As soon as I could get to the Premier League, I thought I'd be closer to the dream, to my target. "Fortunately, we've been able to progress at Southampton to be a top-six or seven club in the Premier League, and that gave me the opportunity to be selected by the manager (Santos). It's something that I am proud of and something I'll always cherish, this time in Euro 2016." Portugal will need to beat France for the first time since 1975 if it is to win a first major international title. The Portuguese aren't trying to avoid being weighed down by the lop-sided nature of the rivalry. "France hadn't beaten Germany for a long time but they did yesterday," Mario said. "I'm sure that France will go out onto the pitch with a different mentality. They'll be playing at home and they're allowed to dream of victory. "We're very ambitious and we're aware of our past against France. That's what will motivate us and certainly give us even more strength to win this final."